Metallic Silver and Red Silkscreen Ink on 100% Recycled Charcoal Brown Paper (18 in x 24 in). 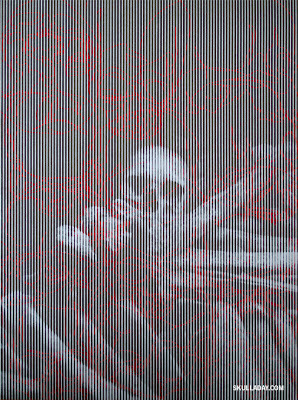 (Be sure to click the image to see a higher resolution version, the vertical lines are hard for computers to display properly). The top layer is from a photo I took in the Paris Catacombs. The bottom layer becomes more and less visible depending on the angle and light. 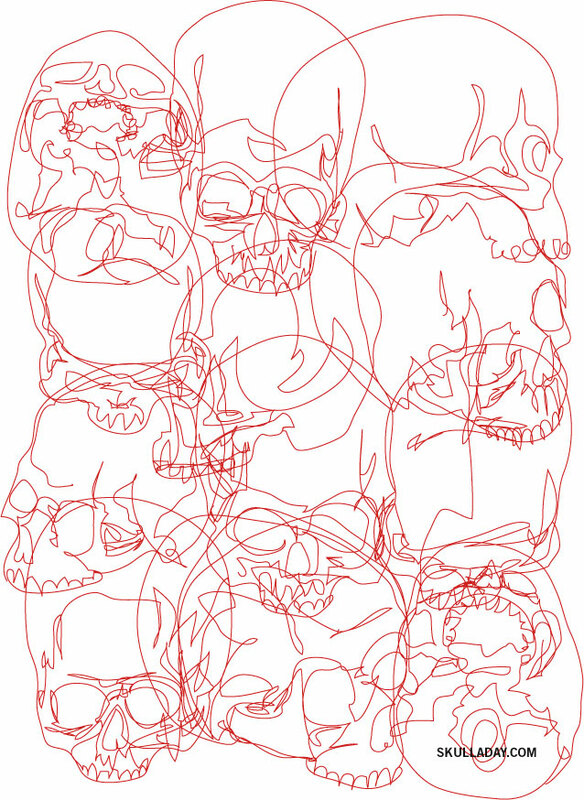 If you'd like to just see that layer (and see the Line Skulls in a different arrangement) click HERE. Thanks to Matt for making the film and a huge thanks to Spencer for teaching me how to silkscreen and letting me use his equipment. Spencer will actually be selling a limited edition run of this print in the new year, I'll post information about this when it's ready! You continue to amaze me... It's breathtaking! Thank you thank you!! this is amazing how do you do this how can u keep finding skulls after all this time? you are the coolest person alive says a 13year old and anyone u says your not should try to do what you do skulls are amazing!